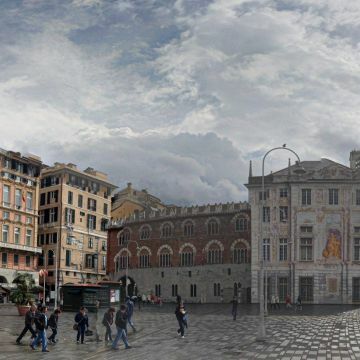 Dedicated to the so-called "right bank", that is, the area of the historic centre that unfolds to the right of the cathedral of San Lorenzo, this itinerary begins in Piazza Caricamento, where goods were once unloaded and loaded in the old harbour. 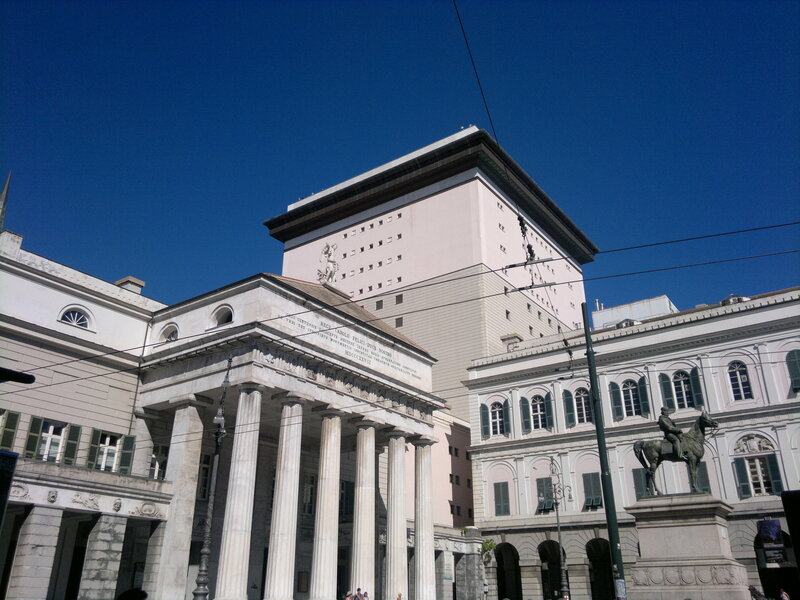 Here, you'll find Palazzo San Giorgio, today home to the Port Authority. 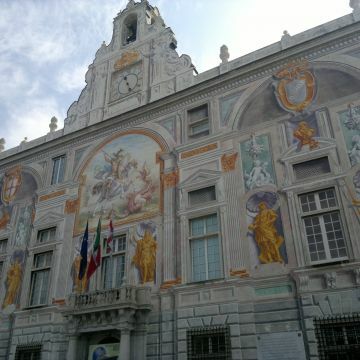 Boasting a beautiful frescoed façade, the building once served as the headquarters of the Casa di San Giorgio, the financial institution of the Republic of Genoa. Proceeding into the caruggi directly behind the palace, you'll reach Piazza Banchi, a characteristic square of the old town graced by the polychrome church of San Pietro, curiously built above several shops, and by the spacious Loggia di Banchi, the site of Italy's first commodity exchange. 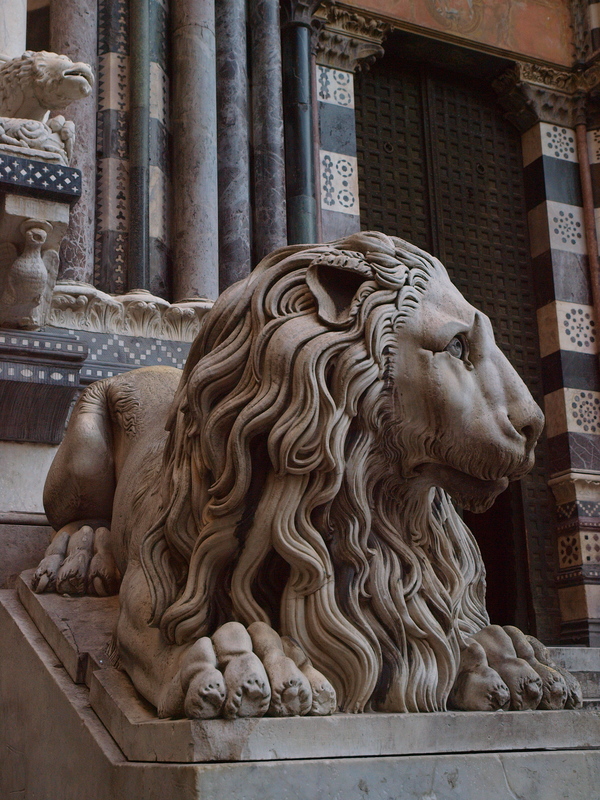 If, instead, you turn up Via San Lorenzo, you'll reach the cathedral, a masterpiece of Gothic art ercted over an earlier Romanesque building. 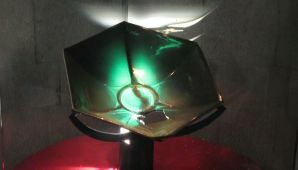 Within, it houses the Tesoro di S. Lorenzo (Treasure of San Lorenzo), including the "Sacro Catino", a 9th-century glass vessel considered by some to be the Holy Grail. 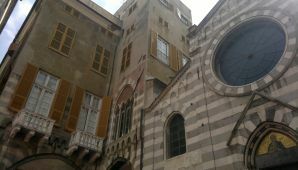 Not to be missed is the Museo Diocesano (Diocesan Museum), located in the immediate vicinity of the cathedral. 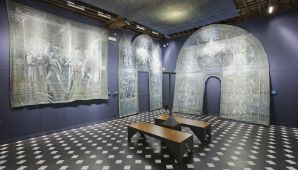 The museum’s collection includes the Teli della Passione (Cloths of the Passion), enormous sheets of denim on which scenes from the Passion of Christ are painted. The sheets are considered to be the forerunners of the modern-day blue jeans. 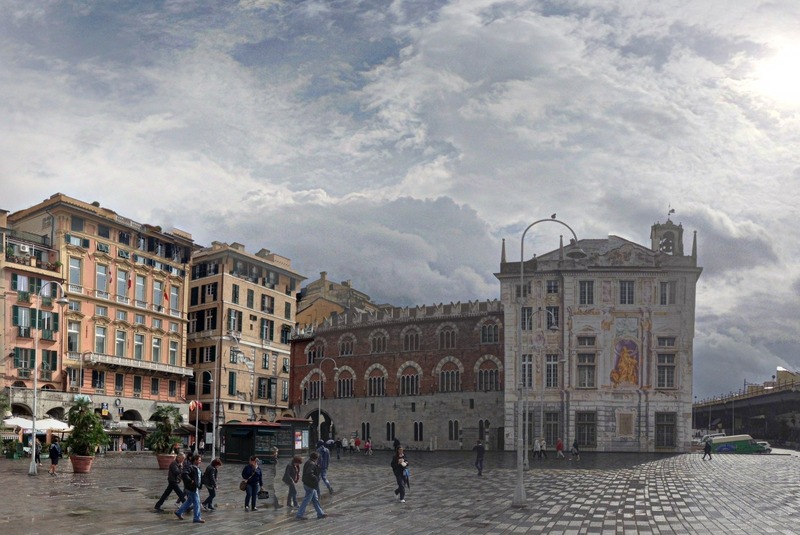 Located in Piazza Matteotti is the Palazzo Ducale, the historic seat of the Doges of Genoa. 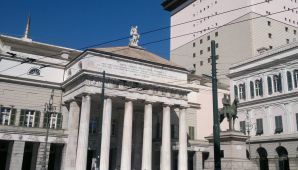 The building can also be entered from Piazza De Ferrari, but from this side, the impressive neoclassical façade can be admired. 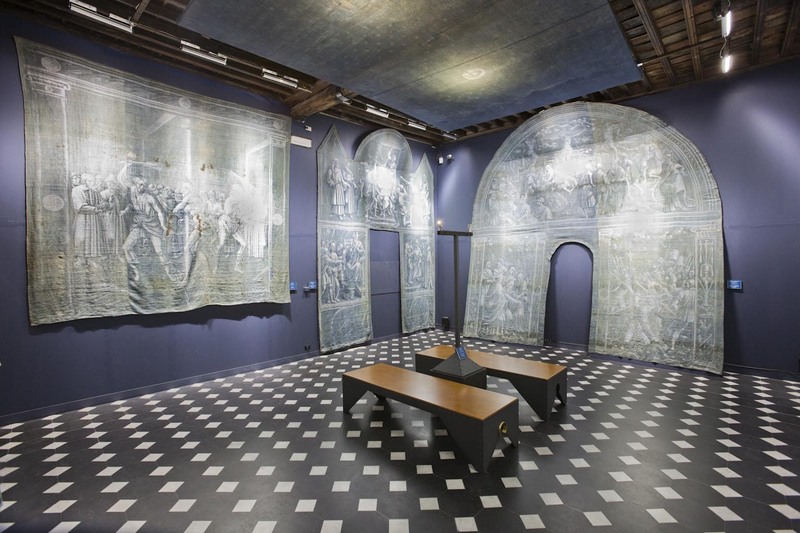 Not to be missed inside the palace is a visit to the Torre Grimaldina, once occupied by prisons that "welcomed" such illustrious individuals as Nicolò Paganini and Jacopo Ruffini. 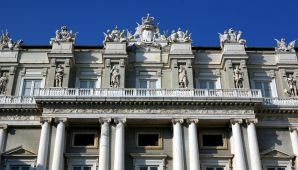 Just a few steps away from the Palazzo Ducale is the church of Gesù, a jewel of Genoese baroque architecture that preserves exquisite paintings by Rubens and Guido Reni. 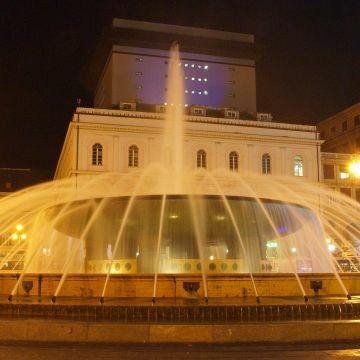 The nearby Piazza De Ferrari is dominated by a massive bronze fountain, work of Giuseppe Croza of Vergagni, and by the prestigious buildings that overlook it. 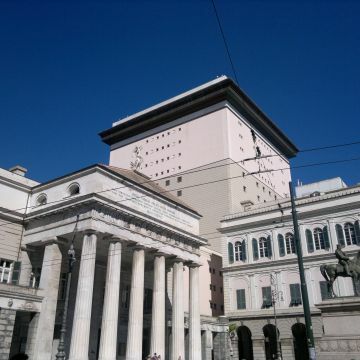 In the background stands the Carlo Felice Opera House, designed by Carlo Barabino. Rebuilt from the ground up after the bombings of the Second World War, it is one of the most technologically advanced theatres in all of Europe. A small detour down Salita San Matteo will lead you to Piazza San Matteo, a charming little square dominated by its small black- and white-banded church and by palaces that once belonged to various members of the Doria family. Climbing back up by way of Vico Casana, you'll reach Via XXV Aprile and then Piazza Fontane Marose with its magnificent palaces, some of which belong to the system of the Palazzi dei Rolli, inscribed on the UNESCO World Heritage list since 2006. 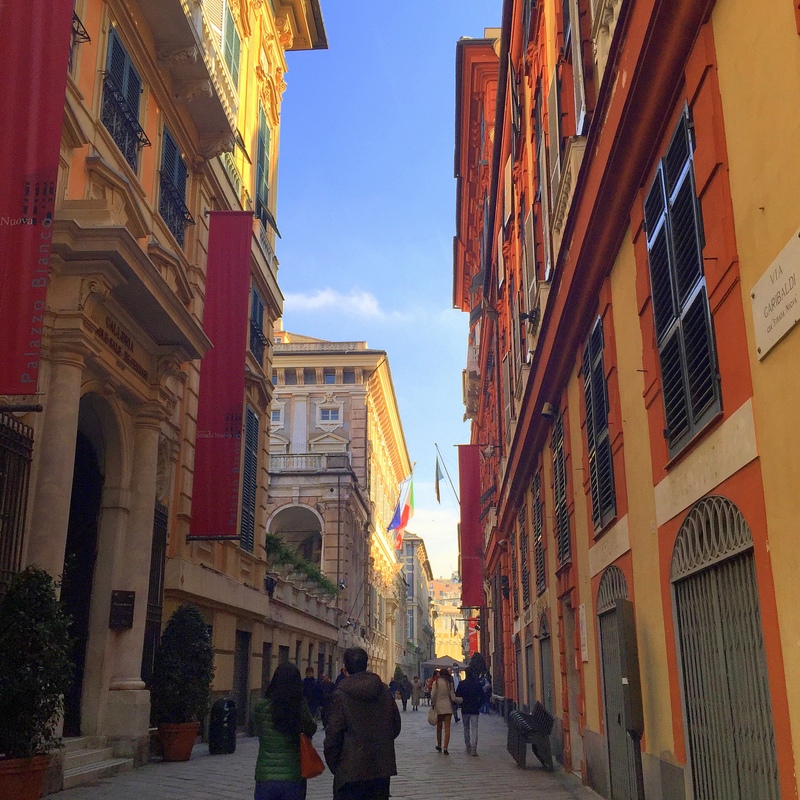 At the end of the square is Via Garibaldi, the historic Strada Nuova (New Street), one of the jewels in Genoa’s crown and inscribed on the UNESCO World Heritage list, together with its Palaces. 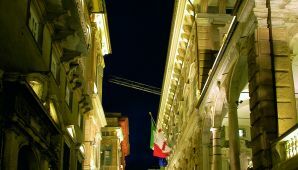 The road is home to Palazzo Bianco, Palazzo Rosso, and Palazzo Tursi, which make up the museum itinerary of the Strada Nuova. 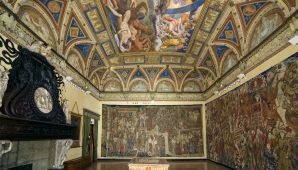 In addition to some of their original furnishings, these beautiful historical dwellings preserve frescoed rooms and prized paintings by Guercino, Rubens, Van Dyck, Caravaggio, Strozzi, and many more. 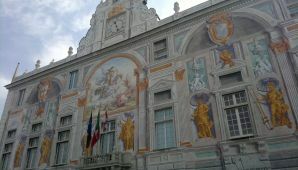 At the end of Via Garibaldi, one can't help but notice the elegant Palazzo Grimaldi, with a sundial painted on its façade. In Piazza di Pellicceria, you can visit the Galleria Nazionale di Palazzo Spinola, an old Genoese residence that changed hands through a series of various owners over the centuries. The works it houses by Antonello da Messina, Rubens, Van Dyck, Grechetto, and Strozzi are especially worth mentioning. 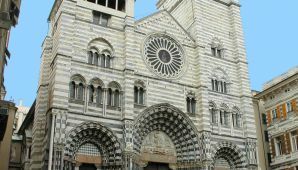 Via San Siro offers the chance to admire its namesake church, which was the seat of Genoa's first cathedral. Valuable works of art are preserved within it, like the elegant black marble and bronze altar made by the French sculptor Pierre Puget. Turning back towards Via Cairoli, in a matter of minutes you'll come to Via Bensa and Via delle Fontane where you can admire the impressive Porta dei Vacca city gate. 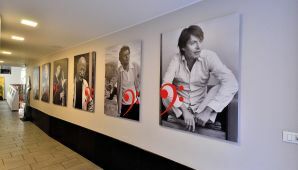 The gate, which once granted access into the medieval city walls, dominates the entrance of Via del Campo, the famous road sung by the Genoese singer-songwriter Fabrizio De Andrè. 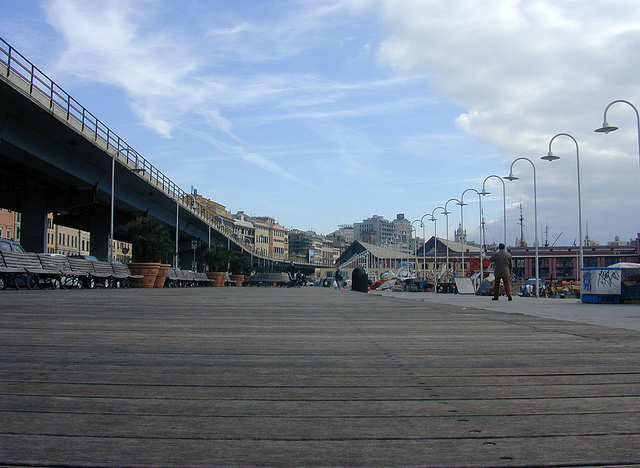 Following the route along Via Gramsci, you can catch a glimpse of the Galata Museo del Mare, the first Maritime Museum of the Mediterranean, and the Romanesque complex of the Commenda di San Giovanni di Pré. Featuring loggias open towards the sea and a beautiful bell tower, the stone hospice housed knights, merchants, and pilgrims on their way to the Holy Land. 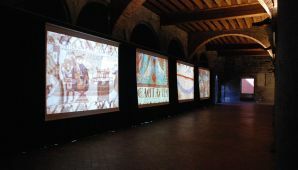 Today, it is home to a museum theatre dedicated to the medieval history of the city. 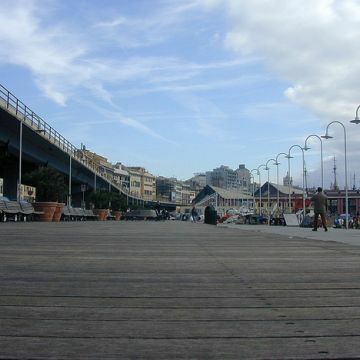 If you look towards the sea at the end of Via Gramsci, you can catch a glimpse of the Lanterna, the famous, undisputed symbol of the city. During the weekend, visitors can climb up to its first observation platform to enjoy an unparalleled view of the city and its harbour. A visit to the Villa del Principe, the magnificent dwelling built for Andrea Doria, is a must. 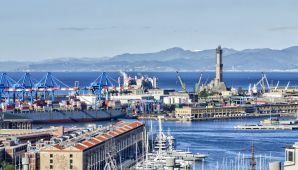 Surrounded by a beautiful Italian garden dominated by a fountain of Neptune, the villa enjoys an extensive view onto the harbour and the Stazione Marittima, the historic station from which tall ships once set out and that today accommodates cruise ships. 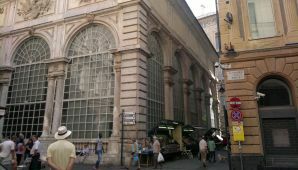 Continuing up to the Piazza Principe railway station, you can admire a monument to Christopher Columbus. 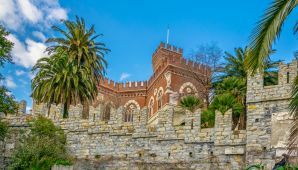 An 'upward' detour aboard the public elevator of Montegalletto allows you to reach Castello D'Albertis, a Gothic revival building constructed around 1890 by the sea captain D'Albertis. 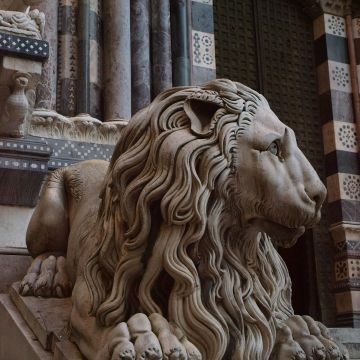 Today the castle is home to the Museo delle Culture del Mondo (Museum of World Cultures). 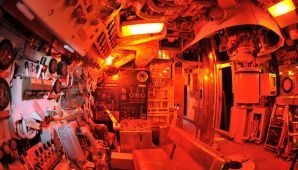 It is surrounded by a park with a wonderful view of the harbour. 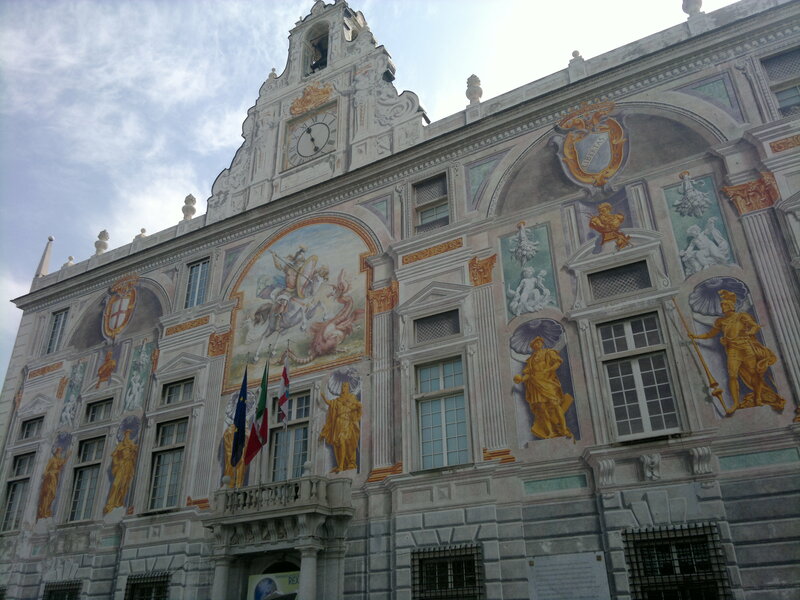 Proceed down the 17th-century Via Balbi, today the headquarters of the University of Genoa, until you reach the Palazzo Reale, an official residence of the Royal House of Savoy from 1824 onwards, with its rich furnishings and gardens open onto the harbour. 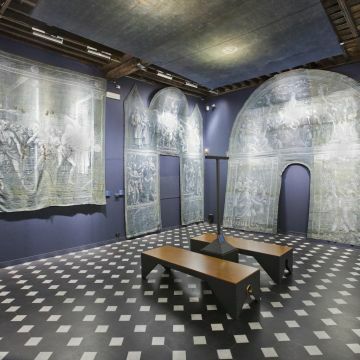 Don't miss the palace's Galleria degli Specchi (Hall of Mirrors), inspired by the famous hall of Versailles. At the end of the street, a visit to the Basilica della Santissima Annunziata del Vastato, one of the city's most important churches, is also a must.